Shoutcast : Shoutcast is a high service provider for internet radio for free.Shoutcast is Internet Radio service that offers thousands of free MP3 and AAC radio stations from radio stations and broad casters around the world. or use the API to build application. 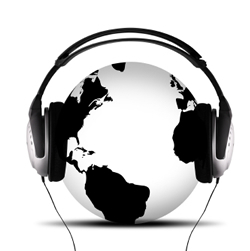 It is very easy to spread songs to the world with shoutcast and you can place it in your blog or website. Here are the list of Telugu radios with high quality and lot of listeners. Manasutho : A 24 hrs Telugu melody songs attracting lot of users. Manasutho provides a the greatest melody,musical and love songs that touches the heart. Check the site to listen with your browser. You can listen from your music player with this 1kb file. Click here to download. Provides a weekly melody song and many more.Get high definition audio songs. Want to embed embed by this code..
Sai baba : The melodies of 24 hrs sai baba songs Click here to download . Code to embed in website..
Christian : The songs and sayings and complete guideness of bible through Internet radio. Click here to download. Copy the embed code..